In the last few years, a lot of technology has become available for the agricultural industry and, with that, there are a lot more opportunities for people who are hoping to go into farming. Canada is at the forefront of developing many of these new agricultural technologies. Farming, though, is a difficult business to run successfully and anyone hoping to do so will have to make sure that they are prepared for hard work before they begin. 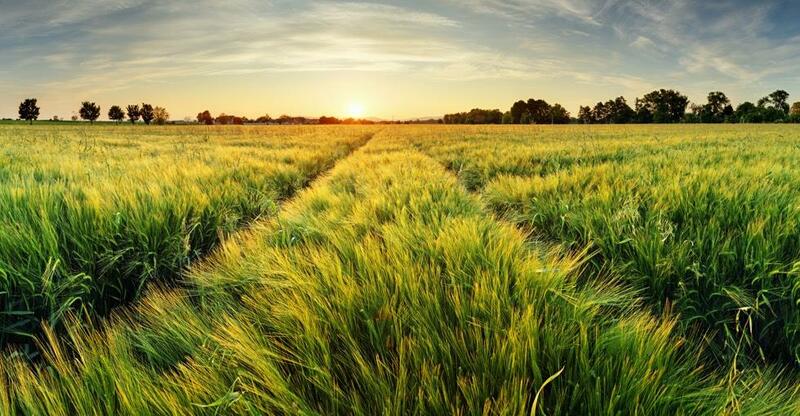 Canada is one of the largest agricultural producers in the world. The agriculture and agri-food sectors produced $111.9 billion in 2016 and they were 6.7% of the GDP. In 2016 the agricultural sector in Canada was responsible for employing 2.3 million people. Even though there is a trend towards bigger farms, there are still a lot of smaller farms that contribute to the industry’s revenue. There are three jobs for every agronomics graduate in Ontario alone. Agriculture is an industry that is getting a lot of attention in Canada as farmers and policymakers try to make it more sustainable and better for the environment. If you are going to buy a farm, you should be thinking about this from day one. The farming industry in Canada has managed to evolve over time to match with the market. You need to have a good idea of what the market needs so that you can know what to produce if you want to go into farming. Canada produces a lot of agricultural goods and is, in fact, one of the largest exporters of flaxseed, canola, pulses, oats and durum wheat! Climate change is a going to increasingly become a challenge to agricultural industries all over the world. Farmers and farm owners need to make sure that they are being sustainable in their farming practices. Another thing to think about is that the profit margins in farming are usually narrow so it is important to keep up to date with advancements in the industry so that you can help your farm’s profitability. Diversifying your business can be another way to make sure that you turn a profit. Consider having several ways of generating income on your farm. If you have space, you should make use of it! The best way to make sure that your farm succeeds is to consider yourself a business person and entrepreneur first and a farmer second. Farming is not an easy business to go into. The hours will be long, and you are often at the mercy of nature and so you need to be prepared to throw yourself wholeheartedly into this business venture. Just like with any new business, you will need to have a clear strategy before going in. Create a business plan and lay out your goals and where you see your farm in the future. You will also need to be very clear of the financial viability of your farm. Getting to grips with the industry that you are heading into will take time, effort and research. If you are thinking about making the move into farming, then you may want to begin getting yourself informed about various agricultural techniques so that you can be fully prepared. The type of farming that you intend to go into will be dependent on where the land is or vice versa. Make sure that you do as much research as possible when looking for the right farm so that you can be fully prepared for the type of agriculture that you’re going to be focusing on. Consider what it is that the market needs more of and make that the thing that you produce. Demand for your product, or the ability to create demand, is going to be make or break of the success of your farm. Make sure that you find the right farm to buy so that you can focus on the right type of farming. As long as you have done a lot of market research and you know what it is going to take to turn a profit, this could be the ideal career move!